Amy! Stop crying, please. You've got to tell me what's happened in the 19th century, or I can't help you. You spoke with the lady and master of the house today about Charlotte and George? You told them that there was a huge misunderstanding? You told them that George is actually interested in the maid, Charlotte, but doesn't know she's a maid? Okay, take a breath and talk. Yeah, and then the lady of the house started to freak out and screamed that Charlotte is a "fallen woman" and went right into the scullery room beside the kitchen where Charlotte was doing stuff and fired her. And I don't think she's ever been in there before. She thinks the whole thing is Charlotte's fault. She thinks Charlotte led George on. She doesn't know it was my idea. Charlotte didn't even tell her that. Honestly, how can you be surprised? You were the matchmaker here. You didn't listen to me when I told you things are much different for young women in the 19th century. You shouldn't have tried to get Charlotte and George together at all. He's a young man in a much higher social class than Charlotte. I just wanted her to be happy. And now? Where is she now? She found a room, above a store. The master of the house told me. At least he's being kinda nice. The lady of the house is a acting like a total b****. Whoa. Hold on there a minute. The lady of the house is a typical upper class woman in the 19th century. The morals and values she presents are common in the 1800s. You can't compare her values and beliefs to those of the 21st century. "Fallen woman" is a term used to describe a woman who has fallen from the grace of God in the 1800s. Even though the word "fallen" is often associated with sexual experience during this time when anything not considered acceptable is treated harshly, it is also used to describe falling out of favour in society - as in Charlotte's case. 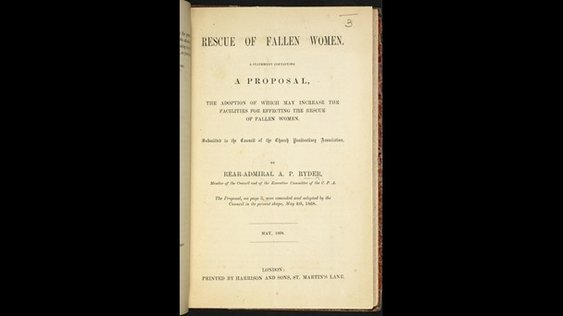 In the mid 1800s when you currently live, middle class England has put out a pamphlet to support women who have been perceived to not follow the social norms and morals of the time (especially regarding sexuality). Gatherings to help these women and offer shelter are all part of the assistance offered. No sympathy is given from the families of these young women. In 1849 England, Charles Dickens created his own letter to be distributed to the greatest of all female social outcasts, the prostitutes. This letter directed them to a home (Urania Cottage) he took a large responsibility in establishing. "If you have ever wished (I know you must have done so some time) for a chance of rising out of your sad life, and having friends, a quiet home, means of being useful to yourself and others, peace of mind, self-respect, everything you have lost, pray read it attentively and reflect upon it afterwards." 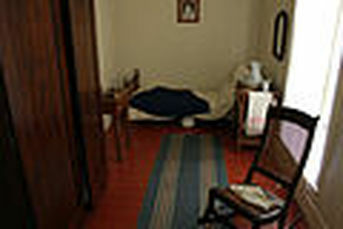 In Urania Cottage, the young women were schooled, attended church services and worked in the gardens. In 1858, Dickens withdrew his involvement with Urania Cottage, although it had been beneficial. According to his summation, 50% of the young women went on to successful, moralistic lives.